I turned 41 today. I actually feel more like 28 which is weird because at 28 I felt worse than I do now. 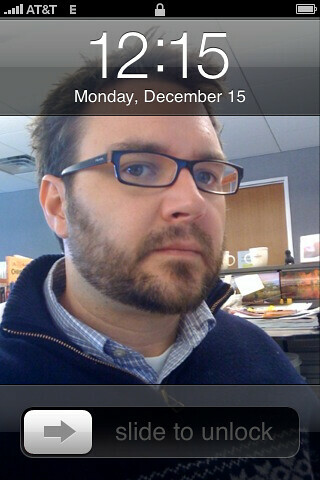 I took a screenshot on my iphone at 12:15pm on 12/15/2008. Hee hee. Happy Day! Tonight we are going to Avenue Grill for my annual birthday dinner. I think we have done this for at least 8 years in different groupings. Wow I can't believe you are 41!!! You don't look a day over 21. ;) Happy birthday!!! Have fun! I'm turning 36 on Dec 24th and dreading the "late 30s" label.... aughhhhh! 41 looks pretty darn handsome and youthful! You know, I was freaking out about 37, now i realize how silly I am. I hope I look as good as you in 4 years!